Alia is extremely excited about her American Indian project. 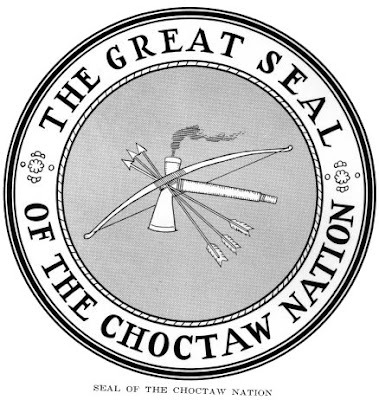 She was assigned one of only two vegetarian Indian tribes for the project--the Choctaw Nation. That alone peaked her interest! She has been researching information at school and sharing that information with us over dinner. The next part of the project was to make a Power Point presentation which will be used for the oral presentation to the class. Alia just finished her Power Point and she seems to be extremely proud of it. She said working with Power Point was fun. The other students have been using the program since 1st grade, or so Alia says. She said it wasn't too hard to figure out and was fun to make. Next -- the oral presentation. I will keep you updated on that part. I hope this project comes home because I would LOVE to see what she created, and what information she chose to share.